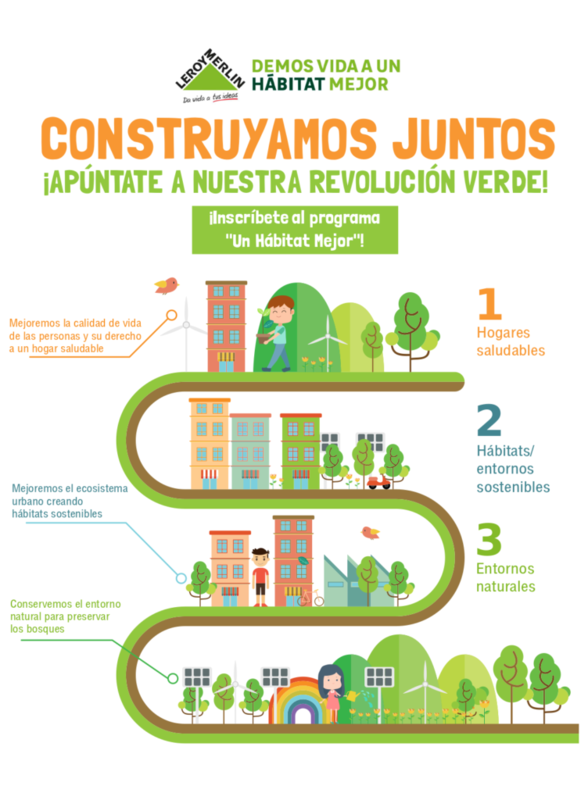 Tandem Social coordinates the first edition of the program “Un Habitat Mejor” (“A Better Habitat”), promoted by Leroy Merlin with the aim of helping all those entrepreneurs with a vocation for environmental and social transformation. The program offers to the 10 selected projects training and expert advice on business management and a green and social impact, personalized accompaniment in order to consolidate its business model and social impact, visibility and dissemination, and a € 2,000 prize for the two best projects. Whether you are an entrepreneur or an entity, the projects presented must solve one of these challenges: Sustainable Homes, Habitats or Sustainable Environments and Conservation of the rural environment.Help us spread the program!